Consistently ranked as one of the best cities in the world to both live and study, Sydney is the ideal city for you to get your degree and build a successful career. Sydney is a global city and an important hub in the Asia-Pacific region. It’s the financial capital of Australia and offers excellent graduate salaries, with a lifestyle that is second to none. With La Trobe University Sydney Campus located in the heart of the city’s CBD, you will be best-placed to take advantage of all that this exciting city has to offer. Sydney is a city alive with opportunity. With a population of over five million and a diverse community representing more than 200 nationalities, Sydney city has the highest overseas-born population in the country. As a multicultural city, we celebrate many major cultural events, including the biggest Chinese New Year celebrations held outside Asia and the annual Living in Harmony Festival held in March, to celebrate the vibrant cultures that make up Sydney. Consistently ranked as one of the world's friendliest cities by travellers, you'll find Sydneysiders quick to stop and give directions and recommendations on what to see and where to go as you explore the city and surrounds. Set against what is considered to be one of the world’s most beautiful harbours, Sydney is a city of natural beauty for you to enjoy. Boasting stunning coastal walks, national parks and parklands and a multitude of beaches within easy distance by public transport, there’s plenty of places to enjoy the outdoor lifestyle that the city is famous for. We’re blessed with blue skies and abundant birdlife and wildlife and if you want to experience the great outdoors, the Blue Mountains are easily accessible by train for a day trip you won’t forget. Sydney is ranked third safest city in Price Waterhouse Cooper’s – Cities of Opportunity 2016, with laws in place to protect international students’ safety, employment and consumer rights. Police in Australia are trustworthy and here to assist the community. Should you have any problems, don’t be afraid to ask them for assistance. The Police in Sydney have a number of initiatives that support international students and focus on ensuring students feel comfortable and connected with local police. The ‘NSW Police Force Student Ambassador Program’ partners students with local crime prevention units to keep our campuses safe and the Police hold regular cricket matches and soccer games with international students. Join their dedicated Facebook page in order to stay up to date with events and tips to stay safe. The City of Sydney, working with the NSW Police Force have put together some tips on staying safe in the city to help you. New South Wales (NSW) is Australia’s largest state economy, accounting for around a third of the nation’s economic output and home to nearly a third of Australians. With a Triple A credit rating, the state has had over 25 years of uninterrupted economic growth and enjoys a strong stable job market. While the cost of living may look high comparatively, this does not take into account the high standard of living, high minimum wage and high median salary for workers in NSW. With extensive links to international business and a strong forecast of continued economic growth, Sydney is a hive of economic activity with opportunity for graduates. Sydney is the financial centre of the Australian economy with around half of Australia’s top 500 companies and two-thirds of regional headquarters of multinational corporations located in Sydney and NSW. NSW is home to the headquarters of 62% of the financial services companies, 56% of the professional, scientific and technical services companies, and 73% of the media and telecommunication businesses listed in Australia's top 500. 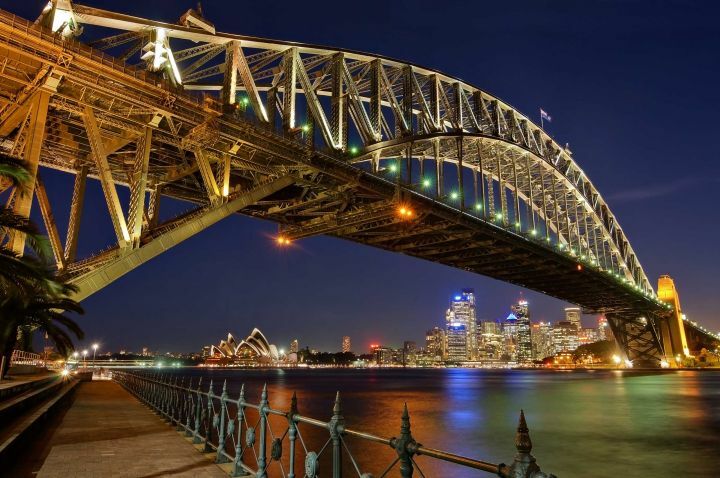 Financial services companies choose Sydney and NSW as their headquarters for a number of reasons, including the state's highly educated and multilingual workforce. About 175,000 people are employed in the finance and insurance industry in NSW, representing 5 per cent of the state's workforce. Sydney enjoys a sunny climate with mild winters and warm summers, perfect for making the most of the outdoors lifestyle we enjoy. Australia's seasons are the reverse of those in the northern hemisphere. The climate is warm to hot in summer (December to February) with some humidity, mild in autumn (March to May), crisp in winter (June to August), and cool in spring (September – November). On average Sydneysiders enjoy 230 days of sunshine each year and even in winter when the temperature drops you can expect to enjoy blue skies and sunny days. Sydney is a multicultural, arts and entertainment hub with a busy calendar of music and cultural festivals throughout the year. There’s so much to see and do, particularly in summer, you may have to pace yourself. Outside of the festival season, Sydney is home to a thriving arts and music scene and with the diverse makeup of the wider Sydney community just about all major cultural events are celebrated. Make sure that you join the Social Club on campus as they arrange activities and excursions and it’s a great way to make friends for new students. You’ll find every type of cuisine on offer and in the city itself, there are pockets of concentrated eateries like Chinatown and Thai Town and plenty of Halal options. The city is scattered with Malaysian, Korean, Vietnamese, Chinese, Thai, Nepalese, Pakistani, Indian, Japanese, Middle Eastern, Italian, African and Greek restaurants – so no matter where you’re from you’ll never miss home cooking. The Sydney Campus is located less than ten minutes’ walk from a wide variety of cafes and restaurants so be adventurous and try something new. Don’t forget to try the local delicacies like a meat pie from Harry’s Café de Wheels and make sure to take a trip to the Sydney Fish Market to see the abundance of fresh seafood on offer. Australians are famous for being sports mad, so when you arrive pick a local team to cheer for the National Rugby League (NRL), Australian Football League (AFL), football, basketball and of course cricket. If you like to play sport rather than just watch, the La Trobe Sydney Campus has a cricket team and there are local sports teams you can join if you want to get involved. Or if you are feeling adventurous try your hand at something new with surfing lessons or a trip to the ski fields in winter. Although Sydney is a sprawling city, public transport is affordable and accessible and most students live within 30 minutes of the Sydney Campus by public transport. Getting to the Sydney Campus is easy by bus, train, light rail or even ferry depending on where you live and all of the options are considered clean, reliable and safe. When you first arrive you will need to buy an Opal card in order to use public transport, as cash is no longer accepted. International students are generally not entitled to transport concessions in NSW unless study is fully funded by particular Australian Government scholarships. For more information about this and all your public transport questions, visit TransportNSW. Want to know more? Download the latest International Student Guide to Sydney from Insider Guides. If you have any questions about which course is right for you or about living and studying in Sydney, just contact us.